It was a wonderful stay and thank you for giving us such a positive look at India and Rajasthan. To go out with the lady of Kota. There was balm in the calm on the farm. Kota is an ideal point from which to start a tour of Rajasthan or Madhya Pradesh - but first spend a few days relaxing before you set forth. 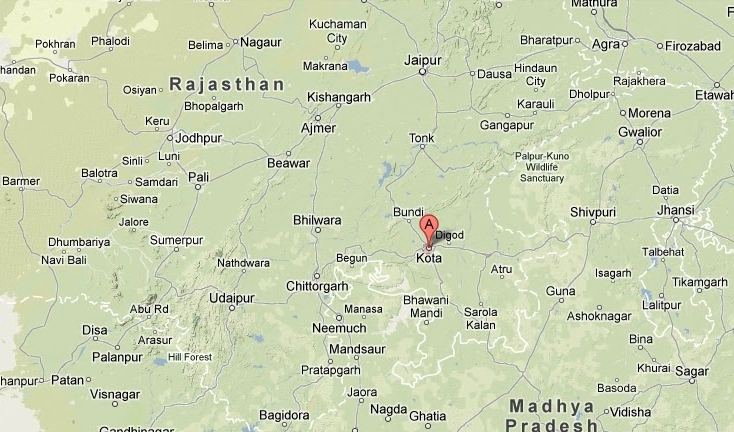 Kota is on the main trainline between Delhi and Bombay. The fastest train journey from Delhi to Kota is about 5 hours. (Delhi is also the closest international airport to us. Jaipur airport has recently been designated an international airport but links to foreign destinations will take time to develop.) There are good train connections to popular destinations in Rajasthan: Sawai Madhopur, Jaipur, Jodhpur, and Udaipur. Direct trains connect to many destinations all over India from here including Delhi, Chennai (Madras), Bangalore, Mumbai (Bombay), Kerala and Goa. 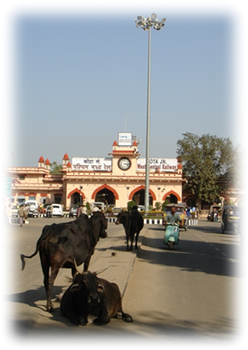 Guests will be met at Kota train station, also referred to as Kota Junction, which is a 30 min. drive from the farm. The charge for collecting from anywhere in Kota is a approximately Rs. 400 one way depending on vehicle. Jaipur is 5 hrs. by car. Bundi is about 36 kms. away. There is a good road to Jodhpur via Ajmer. Maps courtesy of the University of Texas Libraries, The University of Texas at Austin.